I had these today, and they were really good! 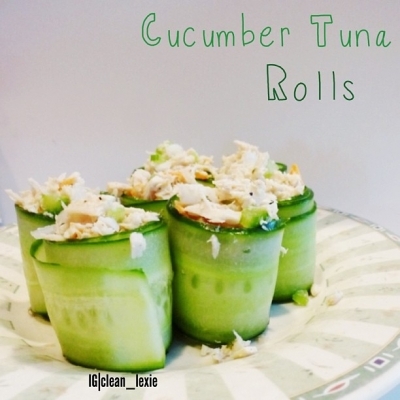 I used cucumber strips instead of wraps, and I loved it! I really recommend trying cucumber strips as your wrap. Mix all ingredients together in a large bowl to make a salad. Take the cucumber and peel it into long strips. Roll the cucumber up and fill with tuna salad. ENJOY!